By popular request we have now added the ability to file emails in Outlook folders and Outlook sub folders. 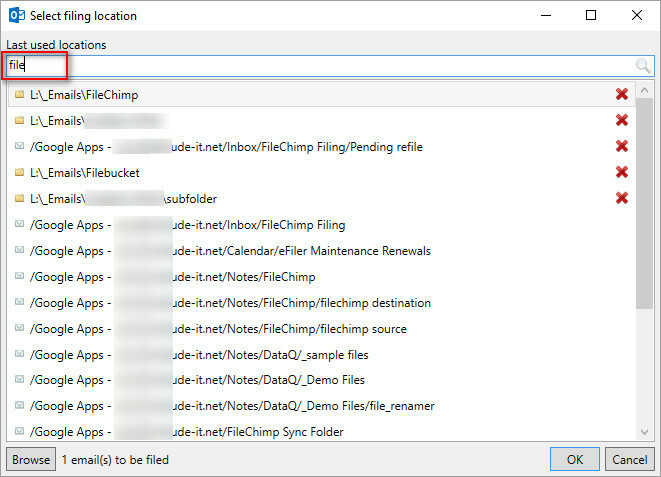 Simply enable the option in settings to ‘Enable Outlook folder filing’ and when you next go to select a location just start typing in the filter box to reveal possible Outlook destination folders. FileChimp will learn your filing habits and automatically recommend the best filing location for future email archiving.